Based on extensive original research, including interviews with key participants, this book investigates the sudden and unforeseen collapse of communist power in Poland in 1989. It sets out the sequence of events, and examines the strategies of the various political groupings prior to the partially free election of June 1989. This volume argues that the specific negotiating strategies adopted by the communist party representatives in the Round Table discussions before the elections was a key factor in communism’s collapse. The book shows that on many occasions, PZPR decision-makers ignored expert advice, and many Round Table bargains went against the party’s best interests. 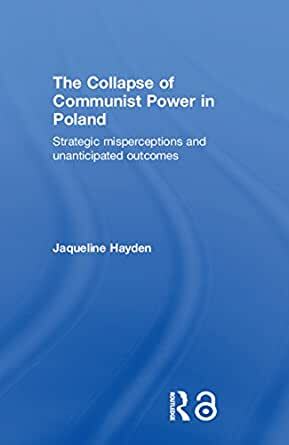 Using in-depth interviews with major party players, including General Jaruzelski, General Kiszczak and Mieczyslaw Rakowski, as well as Solidarity advisors such as Adam Michnik, the text provides a unique source of first-hand accounts of Poland’s revolutionary drama.